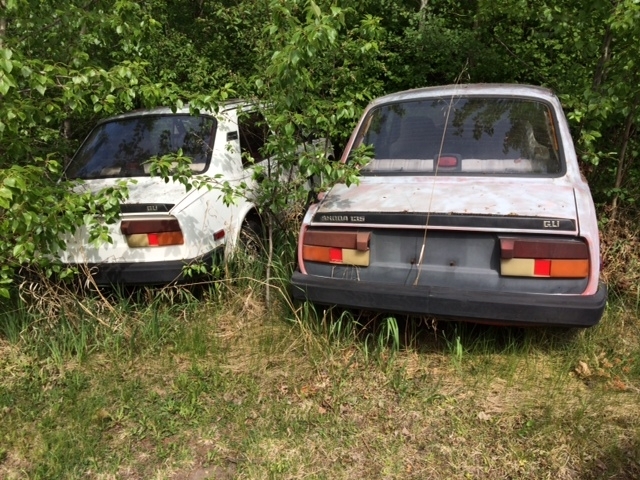 This is pretty time sensitive but if you are in or near Alberta and have a desire to own a pair of rare Skoda 135 GLI sedans this might be your lucky day. These are the best of breed with fuel injection and five speed manual transmissions. The auction is set for August 20th 2015. This entry was posted in craigslist, etc, Found For Sale on the Internet - eBay. Bookmark the permalink. This sounds like something up your alley. No? You have a reputation maintain as a purchaser/maintainer of eclectic cars. Normally yes but I have an Austin A40 taking up the garage/project room currently. Hello there! Im into Skodas! And Im interested what happend with the two 135GLI? Thank you very much for information! Im looking for a Skoda 120, 130 135 or Rapid to buy. Sorry I don’t have any further information on them. You could place a wanted ad at http://ladausa.net/forum/ as they might know where some are.